Here is a dish that my dad use to make when we were younger. It was a tradition so I loved when he made it. This is a dish that the meat and potato guys in your family will enjoy. Simple and easy. Not any new things. Try it for dinner! Brown your ground beef and set aside. Fry your potatoes with the onions until they are tender. When your potatoes are ready ad the ground beef and corn. 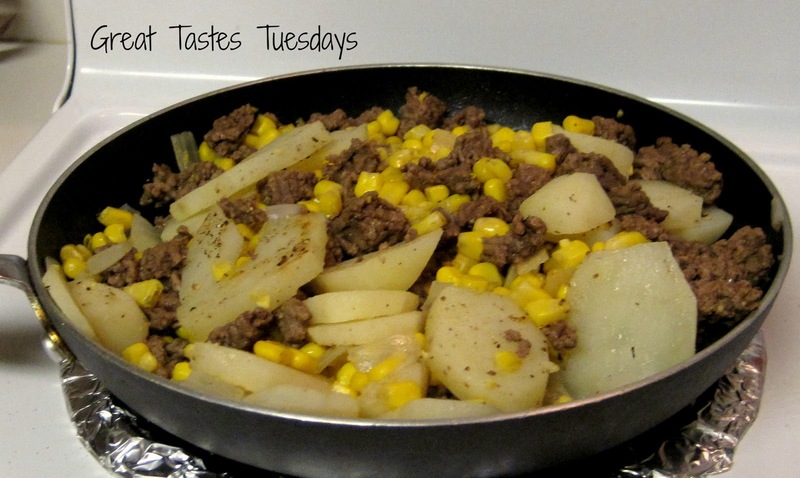 (If you use canned potatoes they are ready so add them to the ground beef with the corn at the same time.) Salt and pepper to taste. Make sure everything is cooked and heated through and you are ready! If you want it with a sauce add a can of cream of mushroom sauce.